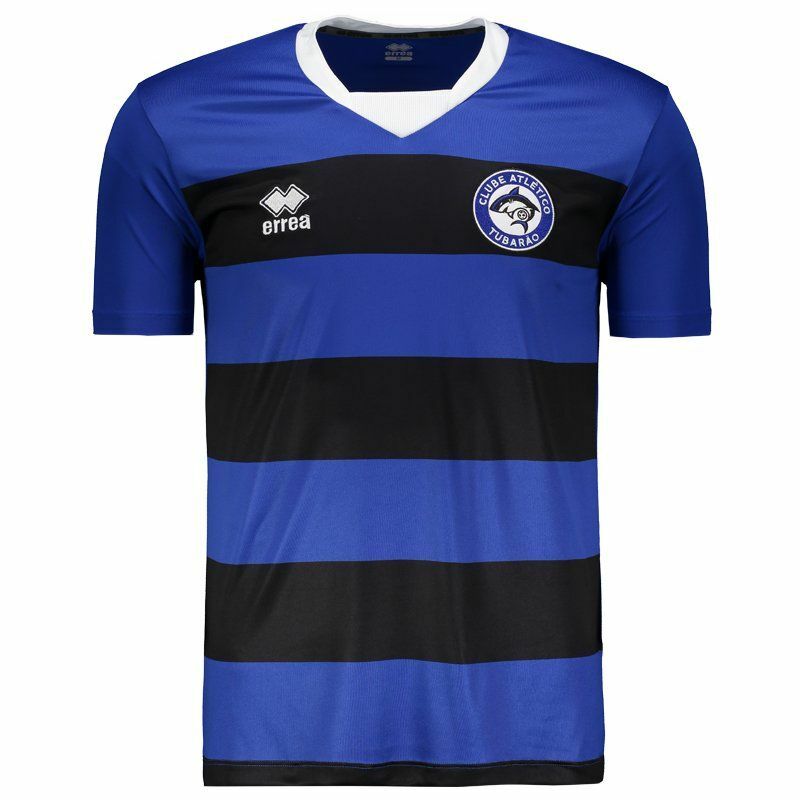 Errea Atletico Tubarao Home 2018 Jersey More info. 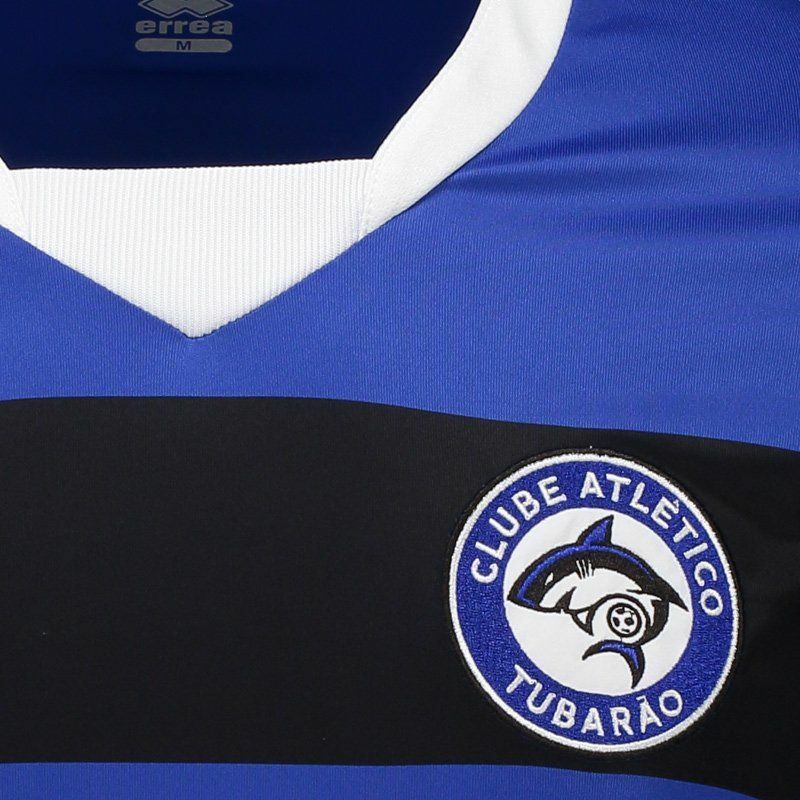 The Atlético Tubarão home 2018 jersey offers customization of name and number, ideal for fans of the team to wear their love in the stadiums or day to day. 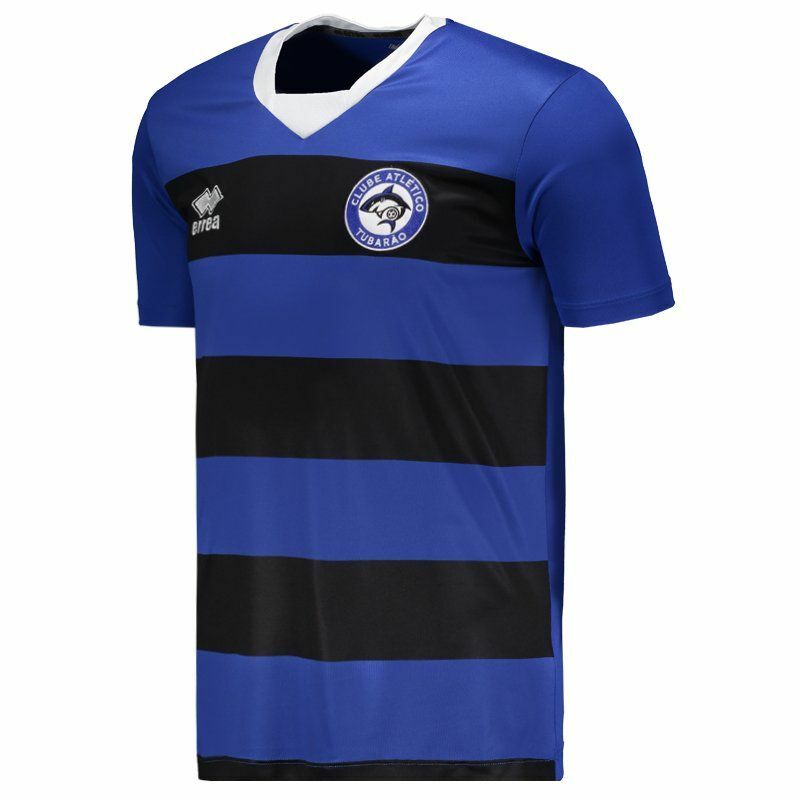 Manufactured by Errea, the uniform is made of lightweight and breathable polyester and features blue design with black horizontal stripes on the front. 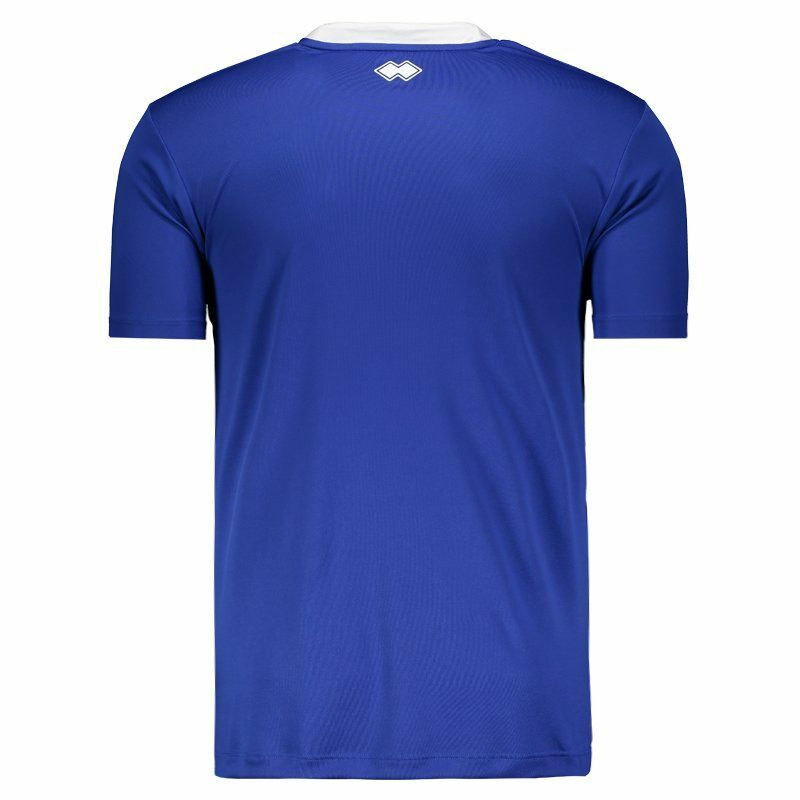 In addition, in the region of the chest the badge and the logo of the mark appear embroidered. Finally, the sleeves are short and the crew collar complements the details in white.